Karina's Kreations: Stampin'Up Tin of Tags Project Kit! Stampin'Up Tin of Tags Project Kit! I love kits!!! They are easy to assemble and saves tons of time. 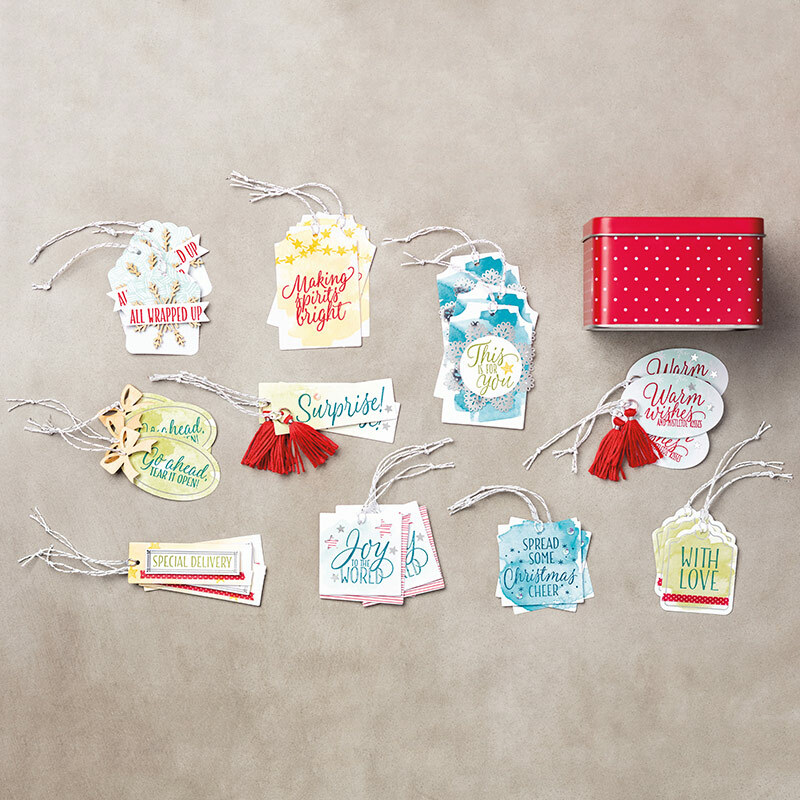 The tin of tags kit would make a fun craft night for you and a few friends. The kit makes 30 tags and 10 of the them will be put onto a card base that was embossed with the cable knit dynamic embossing folder. The project kit #142011 is $29.00 + shipping and Gst and the coordinating stamp set #142180 is $26.00. Email me at kchin2@telus.net to book your private class.